Now that spring is in full bloom, there is so much happening in Copenhagen. Before we fully dive into the festival season, let’s have a look at some awesome concerts April has in store for you. The meteoric rise to fame of this Copenhagen pop duo has been highly amusing to watch. If only all our favourite bands were as productive as Barselona! Last month they released not one but two fantastic albums – “Hjertebank” and “Legebørn”, full of beautiful music and poetic lyrics. April’s concert at VEGA is sold out, but you can register yourself on the waiting list, in case a ticket becomes available. If not, Barselona is going on tour and playing bigger venues in autumn. 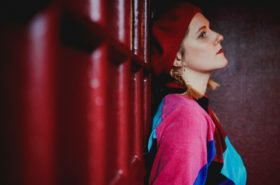 Self-described as “music for a thinking brain and a beating heart”, the folk-pop band is currently in the middle of a Danish tour. 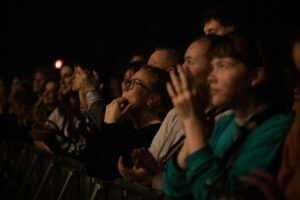 Thanks to the massive success of their new album “Sort Tulipan”, most dates quickly sold out, and the demand for Copenhagen was so high, that Folkeklubben added 2 extra concerts in VEGA. 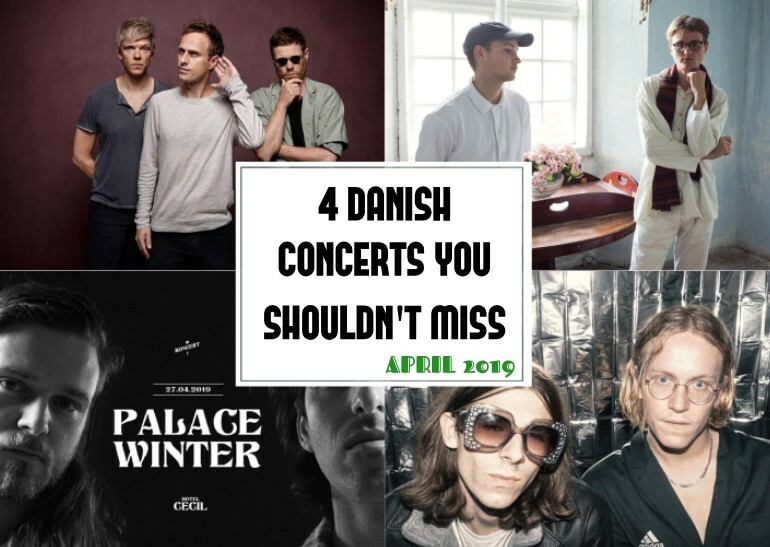 Whether you are a Dane who is up for a cultural Saturday evening or an expat who would like to check out the finest Danish music, this concert is a perfect choice! There is something about Folkeklubben’s songs that simply makes you feel good, and we are sure that hearing “Torben Ulrich” live (assuming they play it, of course) is guaranteed to put a smile on your face! There is still a very limited number of tickets for the last VEGA concert, so get them quick. Dusin has been on our radar ever since they released their debut EP “Halvtolv” a year ago. Earlier this year, the band followed up with a beautiful music video and a single “Mens Alting Størkner”, so, naturally, we have been looking forward to an opportunity to finally see them live. Word on the street is that there is a new song called “Nonchalant” coming out on 5. April! 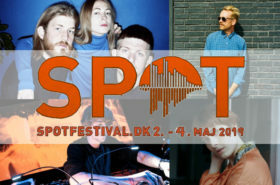 Some say that the Danish music scene is lacking young bands who make quality songs in their native language, so if that is the case, then look no further. The whole event is organised by Limelight Music, who have launched an app that lets you discover new music from emerging talents with a way more tailored approach than Spotify. So get on it if you haven’t yet! Get to the venue earlier to see Desmond and Fiji, who also promise to be awesome. To take a break from all the dansksproget music we recommended above, why not see Palace Winter in Copenhagen’s iconic Hotel Cecil? 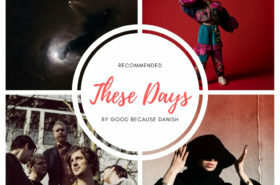 The Danish-Australian duo released their latest album “Nowadays” in May 2018 and it still remains one of our favourites. Not only is it the perfect soundtrack for road trips, but also for lazily walking around the city and people-watching. Songs like “Baltimore” and “The Ballroom” almost make you feel as though you are in your own personal bubble when surrounded by crowds, and it is so special. It is interesting to see how the record’s atmosphere gets transferred to a live event, and that is why the Hotel Cecil show is so exciting. Make sure to arrive early to also see Atusji, a project of Terkel Atusji Røjle, best described as a fusion of hip hop, emo trends and music from the 00’s alternative charts.